This week the boys are whippin’ out their toys. Kris on guitar and synth and Chris on bass (oh, and their drum machine Qris). It’s the first ever Gravy Jam. They also get caught up on some comic flicks, sexual assault claims, Disney gobbling up Fox, and a bunch of other stuff. TBH, this one is kinda all over the place. Dig it. You can listen by either clicking here or by using the player below. Find us on iTunes! Click here. Feel free to leave us a mandatory review while you’re there. Find us on Stitcher! Click here. Find us on Google Play! Click here. Find other great podcasts at HighVoltageRadio.com. As always, we would appreciate hearing any feedback or criticisms you may have that will help us improve the show. 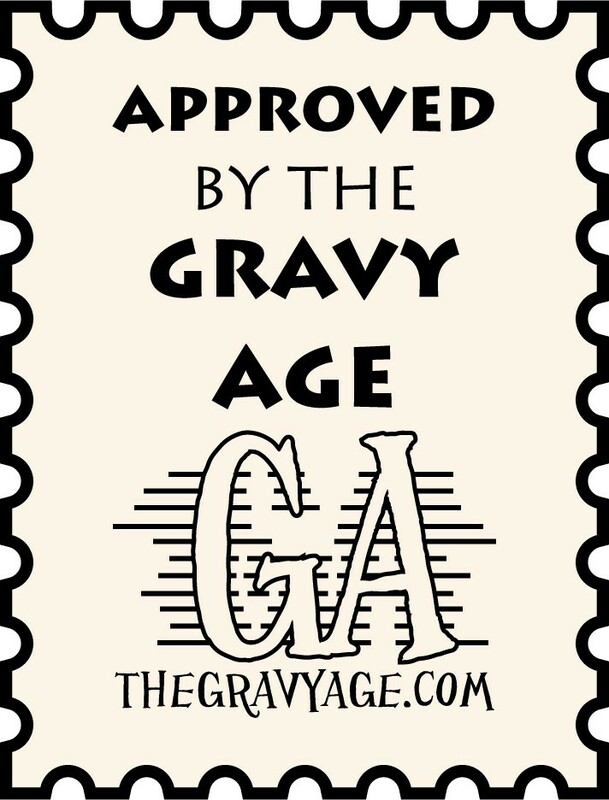 E-mail us at thegravyage@gmail.com, leave a comment below, or call us at (209)625-9018 (long distance charges may apply (yadda yadda yadda)) . We may use your comments on a future episode.